Beautiful detached villa of Six rooms + 2 main rooms apartment with private swimming pool and magnificent sea view on Saint Tropez bay. Living area: 240 m² - Garden: 2,000 m². Sleeping: 10/12 people – SOUTH exhibition. - Living room/dining room overlooking large terrace – Television. - Bedroom with 1 bed in 180 with closets with bathroom and toilet. - Bedroom with 1 bed in 160 with closets overlooking terrace with shower room. Swimming Pool – Air Conditioning throughout the house and Wifi – Numerous terraces – Garden lounges and sunbaths around the pool – Barbecue - video surveillance – Garage fitted out in the gym – Ping-pong. 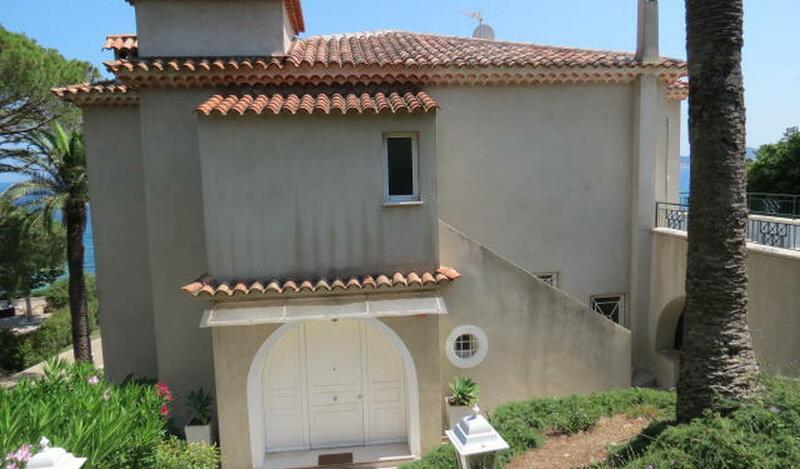 This villa is new and tastefully furnished – Opposite the Croisette beach.